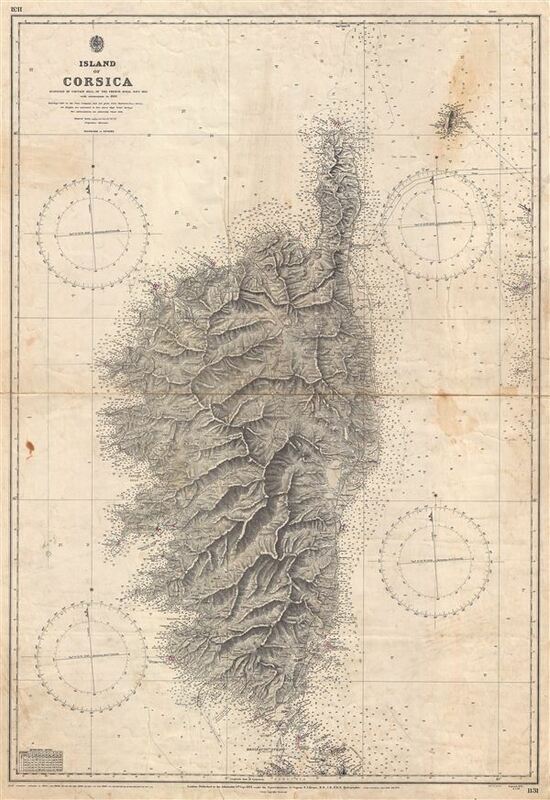 An appealing British Admiralty nautical chart or maritime map detailing Corsica or Corse. The Admiralty originally issued this map in 1874. The present example has been updated to 1967 though the basic plate remains unchanged. There are countless depth soundings throughout and Corisca's mountainous interior is shown with impressive detail. This chart represents admiralty chart no. 1131. Good. Soiling and spotting here and there. Original centerfold.